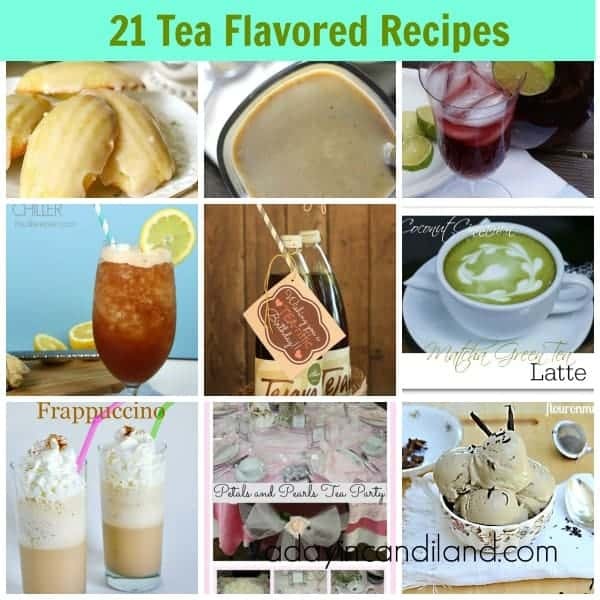 21 Tea Flavored Recipes you’ll thirst for is a collection of hot and cold tea beverages and desserts created for tea lovers like you and me. I have been asking my blogging friends what they like to drink and can you believe it, they like tea too. So I decided to share some of their favorite Tea recipes with you. That way we can all enjoy them together. If you want something to go with these beverages try some things from my Easy Recipes page. Did you know you can even make food with tea? How about Vanilla Bean Chai Gelato? Well, just visit the blogs links below to find out. Most of these are cold beverages but there are a few hot ones for you. I think this will give you a good place to start. 21 tea flavored recipes you’ll thirst for, especially during the hot summer months, will get you in the mood for something delicious, then make sure you look around my blog. There is something sure to tickle your fancy (as my mother used to say) Oh no, did I just sound like my mother? Seriously though, there are a lot of great recipes, don’t forget to let these fabulous bloggers know where you found them. Then if you really like tea you can check out all my Tea Time tips. 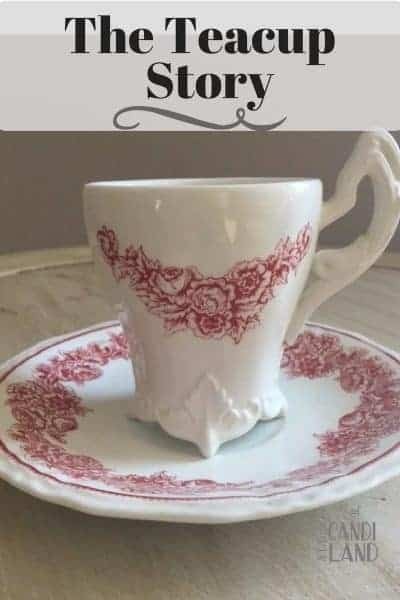 Since you love Tea you probably have friends that love tea and will want to see all these cool gifts you can find. Pin This 21 Tea Inspired Recipes to your favorite Tea Pinterest Board. Thanks for sharing my recipe! Off to check out the others. Your welcome make sure you share this post for me too. I love my iced tea! Excited to hop around and see some of these great recipes! I don't always think of tea when the weather gets hot. Thanks for reminding me how refreshing tea is cold! This roundup is full of delicious ideas! It is good when its hot and cold out, Even food with tea in it. I never thought of a tea frap – these all look delicious! Thanks for stopping by, Tea Fraps are great. You inspired me to make tea last night. I combined English Breakfast tea and Pomegranate tea. Sounds good. I love pomegranate. Thanks for stopping by. I love tea and this looks like a great collection! Thanks for featuring my Ginger Peach Chiller! Your welcome. It sounded so wonderful I had to include it. 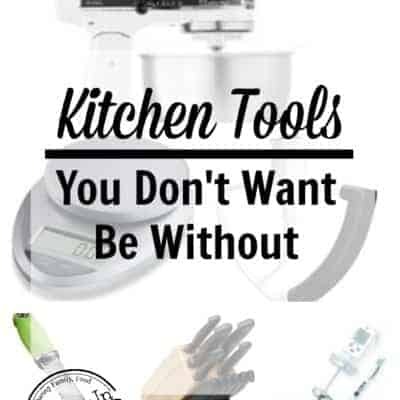 I personally don't like tea at all – I think it's the smell, but these recipes look interesting and I might see if I can make one for the tea lovers in my fmaily! Are you a coffee drinker? I think you are either one or the other. I can't drink coffee. I need to drink way more green tea than black. But I guess you drink what you are used to. Almost enough so I can try a new one each day! I only drink herbal tea, but will be checking out all these recipes. I got my first taste of Sweet Tea while on vacation in Hilton Head! Now this Canadian has converted many of my family and friends to sweet tea drinkers! Love the variety of sweet teas on the list! That Blackberry Sweet Tea is calling my name! LOVE this round up! Thanks for linking up last week to the Bloggers Brags Pinterest Party. 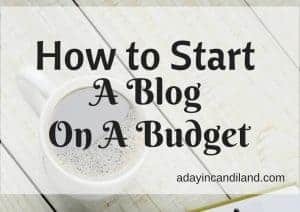 I have pinned it to the Bloggers Brags PInterest Board. Thanks for hosting the Bloggers Brags Pinterest Party. See you next week. These look SO refreshing! Thanks for sharing this round up!